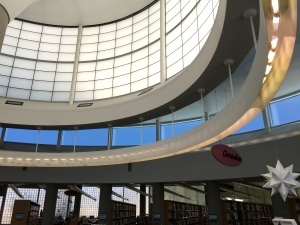 The Friends of the Pacific Beach Library, an all-volunteer non-profit organization, exists to support the operation of the Pacific Beach/Taylor Branch Library. The PB Friends provide ongoing financial support with funds generated through book sales and other fundraising activities. The PB Friends underwrite children's programs, concerts, and community events on behalf of the library and liaise with other library and community groups. In a time of governmental budget cutbacks, Friends support is essential to maintaining the levels of service the community needs and expects from its library. Contributions are processed through the San Diego Library Foundation to the Library’s Matching Fund, where the City of San Diego matches the amounts donated to support the purchase of materials, equipment, and to provide programs. Chartered under the auspices of the Friends of the San Diego Public Library, the Friends of the Pacific Beach Library is an official §501(c)(3) non-profit, educational organization. Contributions are tax-deductible as permitted under that designation.